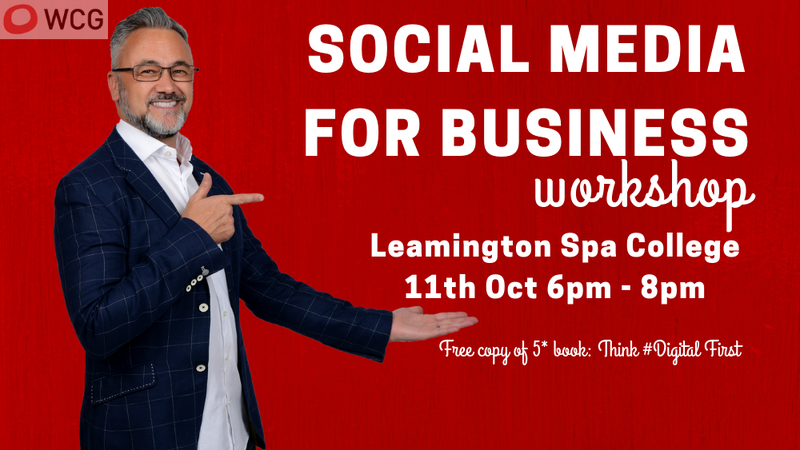 In this thought-provoking workshop with Social Media Strategist; Warren Knight, you will learn how to drive targeted traffic to your website from social networks as well as generate new leads through social selling. Warren will walk you through his proven step-by-step social media roadmap to achieve the end goal of increasing brand awareness and sales. As a business, you will learn how to connect with your audience, create shareable content and turn your followers into successful brand advocates. Each delegate will receive a copy of Warren’s 5* and award-winning book Think #Digital First and a social media blueprint workbook to implement your new knowledge the very next day.